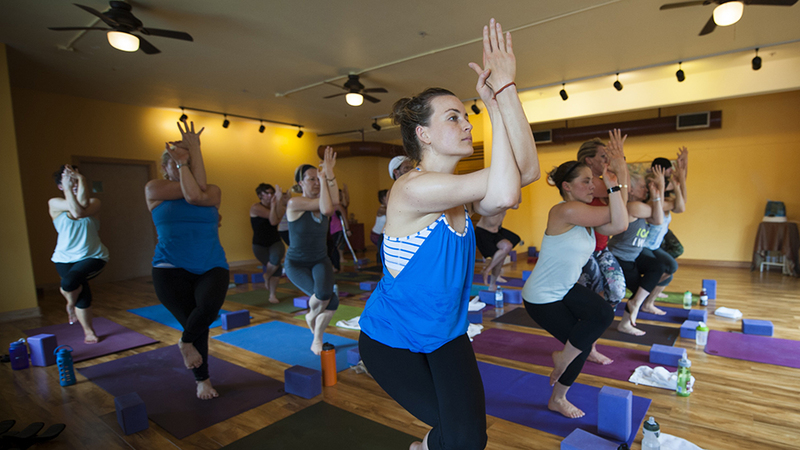 There’s a reason Namaspa Yoga Community has been voted Bend’s Best Yoga Studio four times by readers of The Source Weekly. Namaspa is committed to making the benefits of yoga accessible to all experience levels, body types, ages, and incomes, thereby living the “community” portion of their name. Seasoned practitioners and first-timers join together in a place that inspires each individual to experience their own greatness through the transformational practices of Baptiste Power Vinyasa Yoga, and other “Lite” yoga styles. Classes, wellness services, workshops, and trainings are offered by instructors who are focused on making sure each student is given the space and guidance to dissolve physical, mental, and energetic blocks through the application of balanced action – effort and ease – to create a new level of openness, freedom and connection. Namaspa Yoga Community is located On Galveston Avenue on Bend’s Westside and offers more than 50 different classes each week; please check the website for a current schedule and come joint the community.